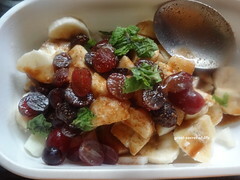 I saw this recipe at stay foodish. It was very tempting.. I tried immediately. 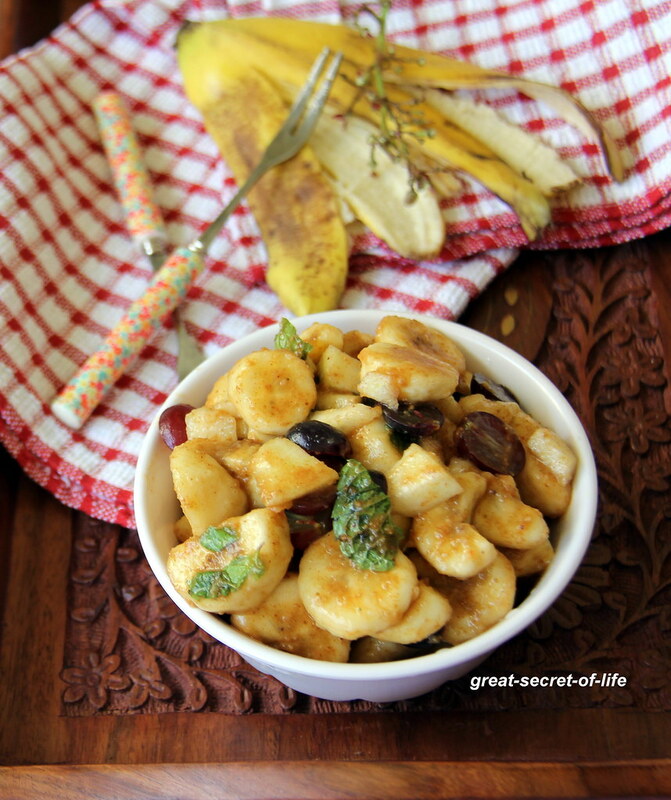 It is a really healthy snack and super yummy chaat. 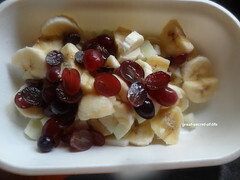 This can be very good for kid's lunch box or snack box. This is definitely a good alternative to plain fruit snack. 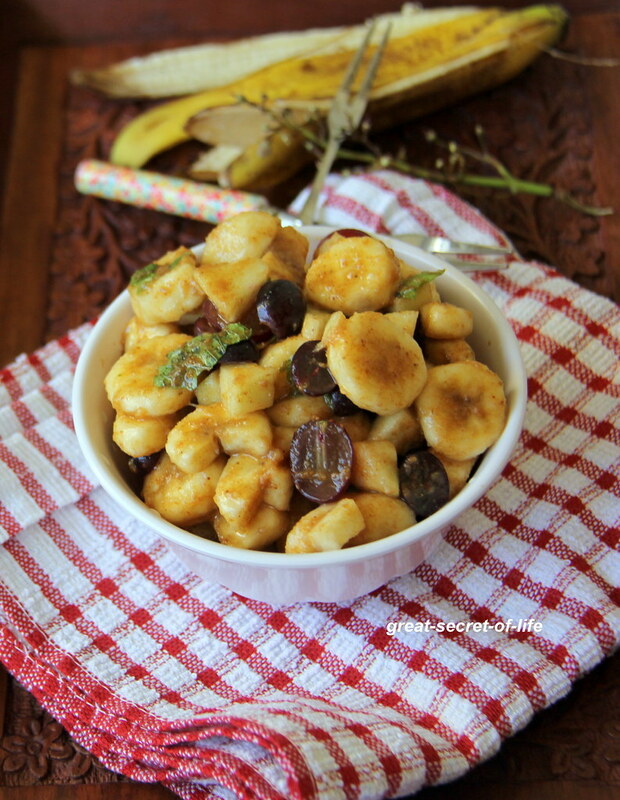 Your picky eaters might like this! 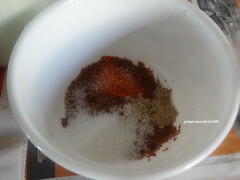 Mix the cumin seeds powder, chaat masala, red chilli flakes, lemon juice, sugar and salt. Leave it for 30 mins. Cut the banana in desired shape. Cut the grapes into 2. 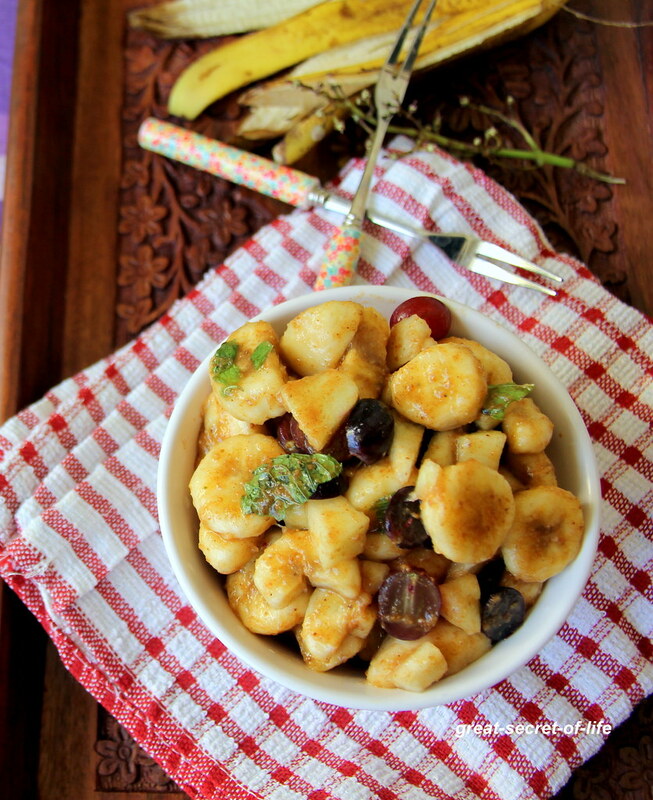 Mix in the sauce, grapes to cut banana. 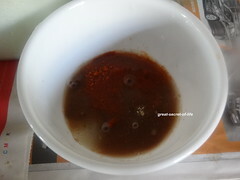 Leave it marinate for 30 mins.